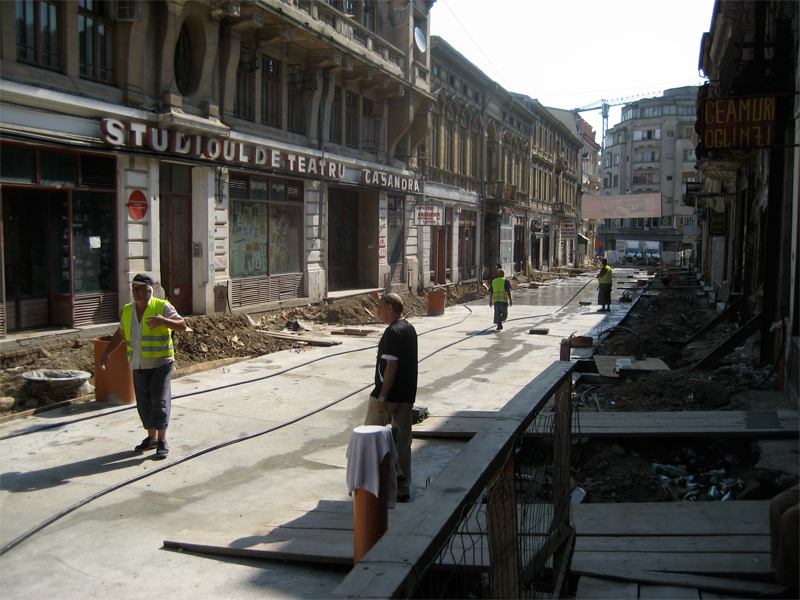 The Lipscani District is Bucharest’s one chance to save a slice of its ‘old city’ atmosphere. Efforts have been made to vacate squatters, to prohibit car access, and to pedestrianize the district. Considerable infrastructure and street improvements have been and are being made. In the photo above, communist-era signage still survives along a street lined with marginal store-front businesses.